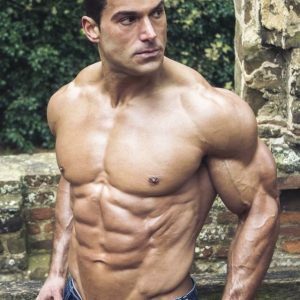 Silvio Simac (Joe Maska) is an Actor, Martial Artist and Stay Lean Ambassador. He has practiced martial arts since he emigrated to England in 1986, and was 14 times British Champion Taekwondo (1991-2000). Sivio Simac says: “You have to have a passion for what you do if you want the right results. Matt Fiddes is one of the most respected Fitness and Martial Arts Experts in the world. Having been established for 20 years, Matt Fiddes has built a global Fitness Empire with over 700 schools in the UK and worldwide. The Matt Fiddes brand has continued to evolve and after being honoured at the highest level for his Martial Arts achievements and classes, the Award Winning Celebrity Trainer and Martial Arts Guru, has grown the organisation’s offering. As well as MF Junior Martial Arts and Adults only classes, Matt Fiddes is now at the forefront of Dance, Pilates, Ladies Only Kickboxing and Performing Arts, to name a few. Catering to everyone, the MF brand devise the most effective and trusted group training programmes to cater to men, women and children of all ages.